The informality and laziness of shooting off a few instructions over Slack and ‘let me know if you have any questions’ can kill productivity faster than reddit. While it’s not an exhilarating experience, having a proper process in place for anything apart from the simplest one-action tasks turns out to be vital later on down the road. CEOs start by doing everything themselves, and gradually training people they hire to do more and more, whilst firing themselves from things new hires ‘grow into’. The best part is, that once they’re written, they can be used by new hires who add to them and update them as the business evolves, so, other than a few spot checks, they’re something you only really have to think about once. When we talk about standard operating procedures (SOPs) or processes, we really mean checklists. Everyone from doctors to Navy SEALs use checklists to avoid mistakes (we even have a wedding checklist) because they’re a simple way to consume and act on information… when done properly. I’ve made plenty of incomplete processes in my time, mostly because I learned how to do the task I’m formalizing before there was a process in place. That means that a lot of what I did was in my own head, not in the process. I left out details like login information, screenshots and links, making the processes I wrote total non-starters. 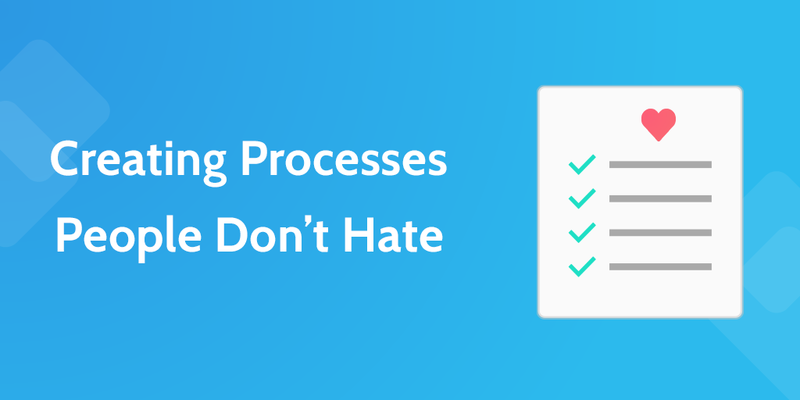 So, to create the best process, it’s essential that you have actually done the task you’re formalizing before, or you’ll end up writing a process that is unusable. The most impractical checklists I’ve used are ones that don’t start at the beginning of a repeatable task. Here, I’ll give you an example. 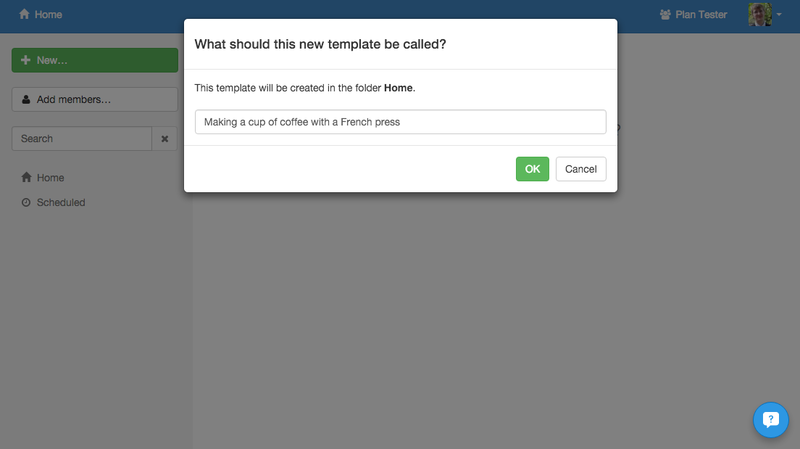 Imagine you’re writing a checklist for making a cup of coffee. The first thing you’ll think is what do I need to make a cup of coffee? Then, you’ll make a list of things you need before you start. Right? NOPE! This is a separate process where you prepare to make coffee. You don’t need to buy new beans and grind them every time you want coffee. If your checklist started this way and you wanted to reference it each time you went to get a coffee, you’d get sick of it. It’s not even relevant. You don’t need to buy coffee beans every time! Getting in this mindset will help you catch yourself when you’re accidentally disguising two checklists as one. If the process can’t be executed from start to finish, time and time again, it’s not just one process. If you’re up for a good laugh, here’s a terrible process created by the jolly old government, outlining how to onboard a new supervisor. Meticulously detail each small item, using images, videos and external resources to explain everything. Follow the process exactly, not deviating from it or using your own knowledge. Give the process to someone who needs to use it and have them run through it, making comments on it where it’s unclear. Check the task’s status to see what kind of work was produced by following the draft process. Formally implement the process, letting employees edit as necessary. Allow any edits to be made by the users. The people using the process now have more experience with it and the task it describes than you do. Review the work created by the process periodically to make sure that the process doesn’t have any holes in it. You might have guessed it, I am indeed about to go off about how Process Street is the right way to do this. I’m a little bit sorry about that, but not really. That’s because I believe Process Street is the best way to create, assign, review and optimize your processes. First up, you’re going to want to get yourself a free account. That’ll take you all of 20 seconds to set up, so I’ll just wait here while you do that. Done it? Alright, here’s how to create a process. 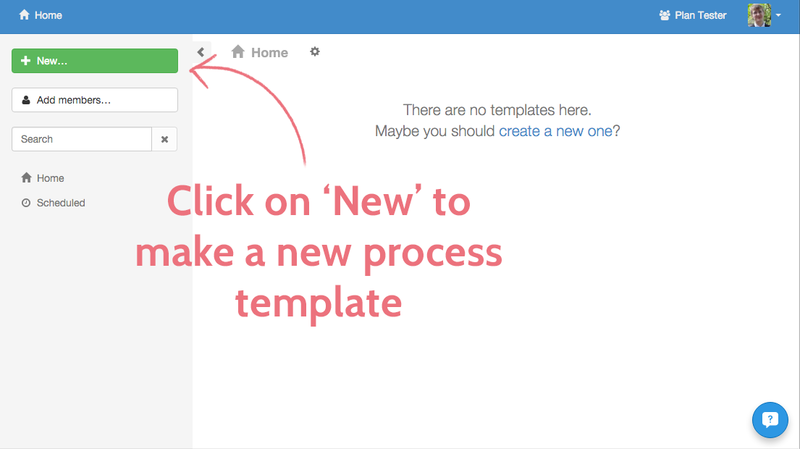 A template is the basis for checklists, so every time you repeat the process you’ll be able to run a checklist for that one instance, work through it and then archive it or keep it around. In short, without templates there are no checklists. Give it an easily recognizable title that anyone can understand. Earlier, I showed you what a rubbish coffee-making process would look like, but here’s one based on how I do it every morning. 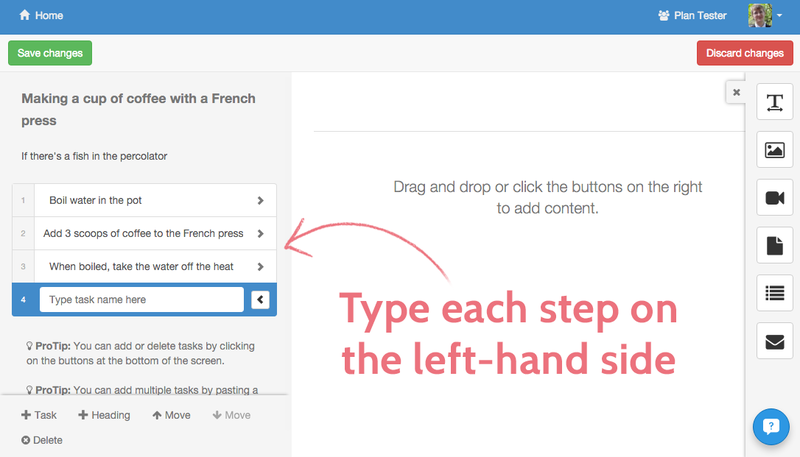 Break your process down into steps and type them into the left-hand side. Press ‘enter’ when you’re done to make a new one underneath. 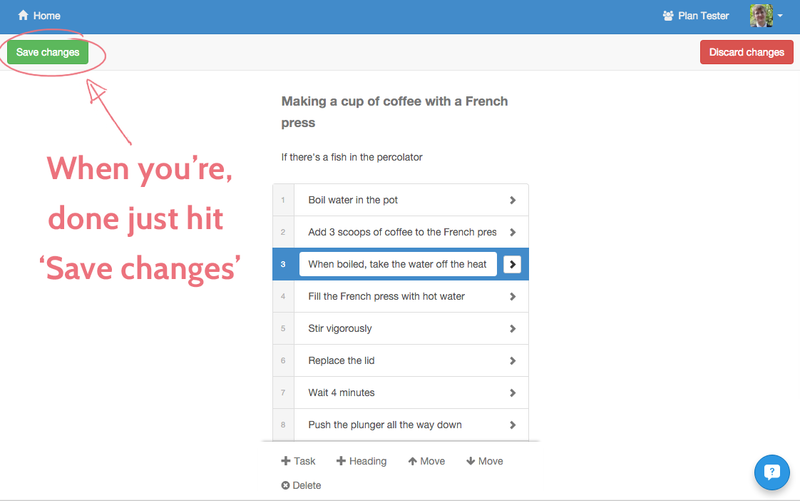 If a step needs a little more explanation, you can use the widgets to explain or embed resources like files, videos and images. How far do you fill the press? Exactly this much, sir. 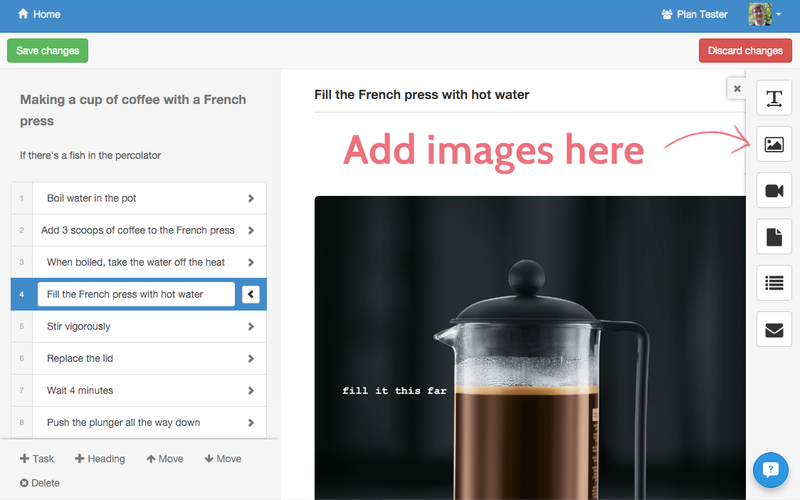 The image widget also supports animated gifs, so you can be extra-helpful with animation. Click here to learn more about creating awesome gifs. All done, and ready to test your process? And there you have it. 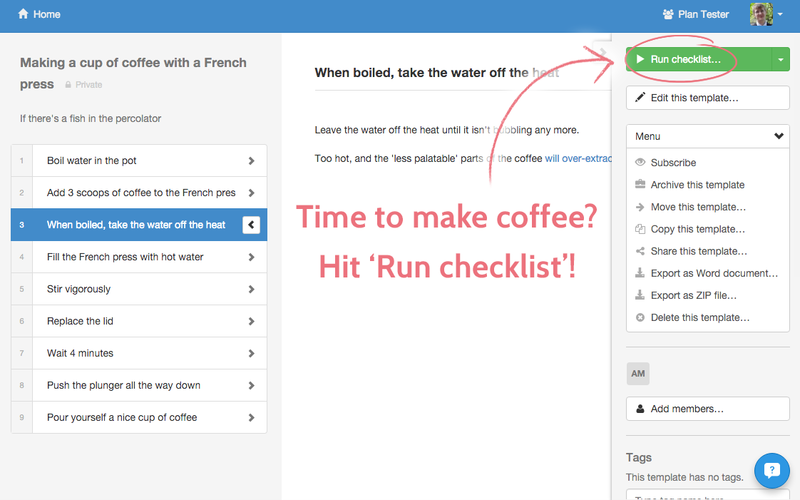 Now you can go ahead and run checklists for every time you want to make coffee. Give your checklist a descriptive name, then use it as a guide to structure the task you’re doing. This is just the surface of what you can do with Process Street. You’re probably not going to make a coffee checklist, but it’s a good example, right? People use our business process management software for client onboarding, preventing IT catastrophes and streamlining their content marketing, to name just a few use cases. Anyway, this is a beginner’s guide for creating processes and doesn’t even touch on the amazing things you can do when you start automating your workflow. We’ve got a lot of content about that, too. For now, I’ll let you get on with those processes. If this helped you out, please let me know in the comments. I like that kind of stuff. Another great and helpful post. Keep ’em coming! Love it! Many thanks. Creating a good process is NOT trivial. But what if there is NOT a fish in the percolator? How do I make coffee then? I’m so happy you noticed! Thank you for this. I’m just starting my business, and it seems that the process of building processes has been a challenge for me. Everything feels like it takes twice as long. It’s difficult to get the work done while trying to document every step. True indeed. 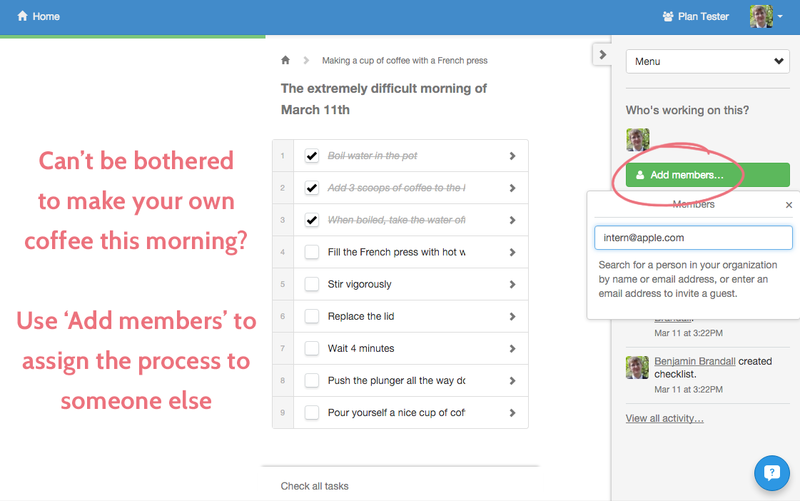 If the work you’re trying to document is on a computer, you can always record a screencast (https://www.process.st/free-screencasting-apps/) and then go back and screenshot parts of the task and explain them as you watch it. 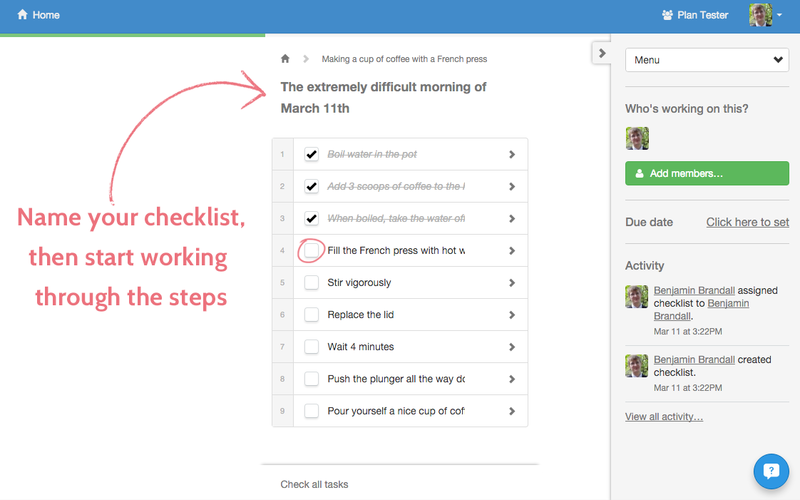 Thanks for the reminder to make each checklist about one main task, Benjamin! I make checklists for every repeatable task I do at work. Looking at this, I think some could be separated to make better sense. The coffee example was helpful. I’m a little stunned when someone hands off a long-standing monthly or weekly duty to me with no documentation or checklists and can only offer a vague verbal run-through. I ask lots of questions and make lots of notes (which, in turn, seems to stun THEM, haha). I started questioning and noting in my first jobs temping, and still do it at my full-time job. Whenever I need to hand off a task to someone else, it may not be perfect, but at least I’ve got a starter framework for them to reference. I remember how relieved I used to be temping when there was a smooth actionable process to follow instead of an obstacle course of guesswork.